Home • Blog • Lowest CPM? Fleet Wraps! When it comes to benchmarking the success of marketing campaigns, cost per impression, or CPM, is part of a marketer’s starting metric roster, not a substitute. And for good reason. The reach, impact and lifespan of fleet wraps make them a compelling branding choice for business vehicles. When you’re looking to stand out from the crowd and convey vital information about your company, fleet wraps are an excellent investment for growing your visibility — and, in turn, building your customer base. Just how valuable are fleet wrap impressions? See for yourself how these large-format branded graphics compare to the rest of today’s marketing channels regarding cost, appeal, persuasiveness and more. Are Fleet Wraps Good for Marketing? Yes! Fleet wraps are a staple marketing strategy with years of industry research, and many practitioners swearing by their use. Fleet wraps are particularly useful for small to medium-sized businesses with a specific geographic target market. To understand the full benefits of these high-quality print products, first we must define a few foundational marketing terms. Impressions: Impressions are the number of views your advertisement receives. 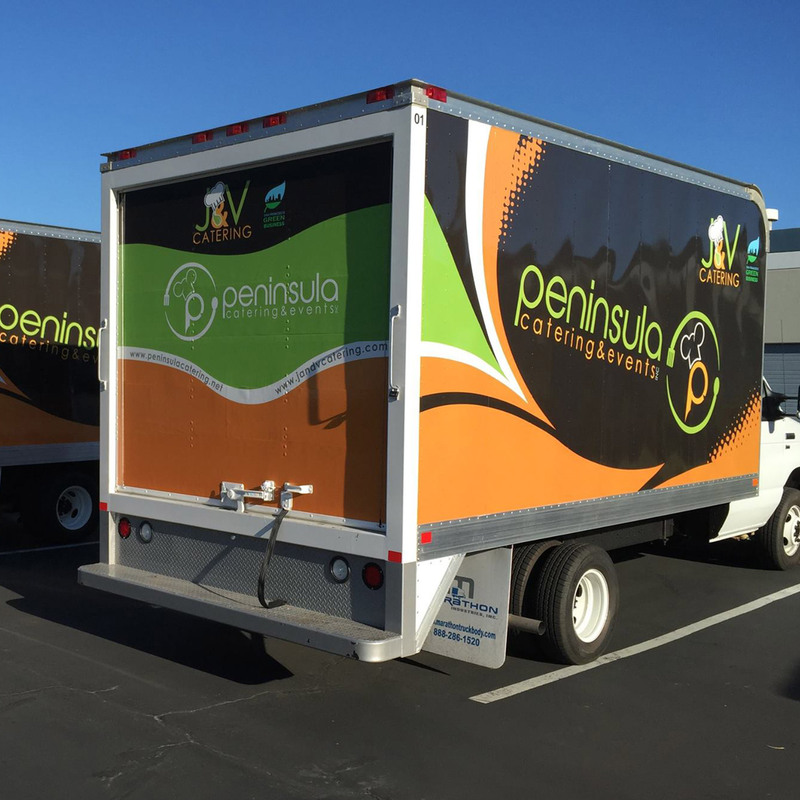 In the case of fleet wrap impressions, they constitute anytime someone sees your name and logo on a truck, van or service vehicle. Leads: Leads are potential customers. In the marketing world, several lead categories break people into smaller groupings based on demographics, lifestyle information and known readiness to buy a product or service. Leads don’t always have to mean a wider sales pool, either. A lead can mean someone who downloads your app, subscribes to your e-newsletter or starts following you on social media. Conversions: Conversions are actions you aim to inspire from a lead. They’re flexible and ad- or campaign-specific. For example, the desired conversion from your fleet wrap could be to make a sales inquiry phone call, fill out a product quote form or merely to visit your website. Return on Investment (ROI): ROI is a foundational benchmark when it comes to advertising and sales. It tells you how much money you made via sales from a specific campaign, compared to how much you had to invest in researching, creating, distributing and maintaining the campaign itself. The higher your calculated ROI, the more objectively successful you can deem a campaign compared to its cost. Nearly any business aiming to break away from regional competition can track these metrics for themselves using fleet wraps. From catering services to contractors, real-estate agencies to religious organizations and nonprofits, a branded line of vehicles will benefit your bottom line. But don’t just take our word for it. The American Trucking Association (ATA) ranks mobile media like fleet wraps the most influential and cost-effective advertising medium for businesses today. The ATA also found truck trailer fleet wraps nab roughly 10 million impressions every year. A single wrapped vehicle averages a whopping 30,000 to 70,000 views per day, depending on its route. Ninety-seven percent of viewers recall ads they saw on trucks and service cars. Ninety-eight percent of those viewers will hold positive viewsof a company after seeing its fleet wraps. The Outdoor Advertising Association of America — the leading industry resource for outdoor inbound and outbound marketing — shows fleet wraps carry the lowest cost-per-thousand-impressions of any other advertising type. The average cost for 1,000 fleet wrap views? A mere $0.77 — with some businesses coming in as low as $0.48 per CPM. Fleet wraps have long been well regarded for their consumer awareness and branding power. However, these advantages are subjective. To put numbers-backed proof on why fleet wraps are a good marketing investment, businesses assign value by calculating key performance indicators, or KPIs. KPIs are critical to reap the full rewards of what fleet wraps have to offer. Organizations using them first outline target marketing/sales goals or objectives — for example, to increase social media followers by 100 people, or boost sales revenue by 15 percent. Then, they systematically track the variables that affect their ability to reach that goal, seeing how business processes, budget allocations and activities may be helping or hindering them in getting there. Use the following KPIs to glean the effectiveness of your advertising dollars at work and grasp the full advantages of investing in fleet wraps. Sales: This KPI determines the total revenue your sales team brings in during a select period. Most businesses usually measure sales KPIs quarterly, biannually and annually, but you can adopt tailored periods to track how a particular campaign may be influencing sales. Note, however, there are more targeted KPIs to learn the effectiveness of a specific ad or campaign in this regard. Lead conversion rates: How many people took the action you desired from your new fleet wrap ads, compared to the total number of leads? For example, say you were aiming for an uptick in sales phone calls for that quarter. You received 100 prospective sales inquiries over the phone, with 40 generating actual orders. Your lead conversion rate would be 40 percent. Cost per impression (CPM): CPM allows you to know the average cost per 1,000 views of your advertisement. More advanced CPM formulas can even pinpoint how much you spend per view. CPMs will vary across advertising media. For example, the CPM for a Facebook advertisement will be different than one you pay to Google Ads to show your ad to 1,000 people, which will, in turn, differ greatly from an ad printed in your local newspaper. Cost per lead: Similar to CPM, cost per lead provides a benchmark for how far your advertising budget goes to reach potential new customers. It takes the total spent on advertising campaigns, including their distribution, overhead and any creation and marketing-related labor, then divides it by the number of people who’ve expressed interest in your product. Cost of customer acquisition (CAC): CAC helps you determine the effectiveness of your total advertising and marketing strategies. You calculate your business’ CAC by taking the total you spent on marketing during a given amount of time and dividing it by the new customers you acquired in that same period. This differs from cost-per-lead analysis in that it accounts only for paying customers — not prospective or still passive ones. Average order size/value: Calculating average order sizes and values across periods can help you determine which campaigns and advertising strategies may be more effective than others. Alongside sales KPIs and ROIs, average order size and average order value give you overarching metrics to help build a case for why fleet wraps are good for marketing. Are Fleet Wraps a Good Investment Compared to Other Marketing Channels? Business owners have more choices than ever on how to showcase their goods and services and advertise their superiority over the competition. Let’s break down these marketing channels compared to fleet wraps. With a focus on each medium’s CPM alongside many of the other essential KPIs described above, you’ll know how to assess the value of fleet wraps for your business — not spend advertising dollars in the dark. For many businesses, television commercials are still a classic advertising strategy, particularly for locally broadcasted commercials slotted during primetime network hours. Yet with the growing prominence of digitally recording shows — and subsequently fast-forwarding through ads — as well as on-demand streaming services like Netflix, Hulu and Amazon Prime, audiences for television commercials are shrinking. CPM: Television averages some of the highest CPM of any advertising medium, at $23.70 per thousand views. Cost per run: A 30-second slot during primetime, early evening hours will cost a small business between $200 and $2,000 per airing package. That package price will fluctuate depending on contracts, run amounts and even the time of year ads are aired. Poor conversion rates: Only 7 to 10 percent of people say they made a product or service switch after watching a television advertisement. Less return on investment: Out-of-home advertising like fleet wraps more than double their return on investment, averaging $2.80 in sales for every $1 spent, compared to television’s $2.43 ROI average. Printed fleet graphics and full vehicle wraps provide an alternative. Drivers and passengers alike pay attention to the road, and are far more likely to take in and remember surrounding stimuli. That lends a crucial advantage to vehicle fleet wraps over other outdoor and inbound marketing techniques where recipients are far more likely to be passive, not active, observers. Radio advertising, like television, has more expensive CPMs, lower audience retention rates and less intuitive conversion benchmarks than graphic decals, partial and full vehicle fleet wraps. Higher campaign costs and lower retention rates court a reduced chance of lead conversion, as well as driving up a radio advertiser’s cost per customer acquisition. CPM: Radio CPMs sit in the middle of the pack, at $7.75 per thousand views. Cost per run: Small businesses airing a 60-second peak drive-time advertisement will pay around $8.61 per run in the top radio markets. Challenging lead conversion rates: Radio is one of the most difficult media from which to gather a clear picture of an advertisement’s conversion rate. Market size, commercial memorability, airtime, length, frequency, reach and audience market alignment all play a part in retention rates and are often too incongruent to calculate. Popular print media include newspapers, magazines, journals, brochures and flyers. While print advertising carries a depth-over-breadth advantage to other channels — with marketers able to publish ads in strategic media, increasing the likelihood of lead reach and lead conversion rates — their creation and maintenance costs are higher than fleet wraps’. Plus, printed ads are one-and-done, again compared to fleet wraps, which have a lifespan of years and increase the effectiveness of print campaigns by more than 14 percent. CPM: Newspaper cost per thousand impressions average $19.70, while print magazines sit even higher, at $21.46 per thousand impressions. Cost per run: It will cost a small business owner $9.35 for a single, full-page, color advertisement printed in one of today’s top 23 magazines. A single-run, third-of-a-page newspaper ad printed in one of the top 100 newspaper markets will cost $22.95. Social media advertising has skyrocketed in the past five years, now accounting for over 40 percent of an average company’s entire marketing budget. Facebook continues to reign as the dominant social-media advertising platform, with YouTube and Twitter following behind. However, this trendiness has been dampened by both the ever-changing nature of social media’s advertising platform algorithms, plus its saturation and the competitiveness of these markets — each of which makes consistent ROIs difficult to glean. Facebook’s cost per impression: Using Facebook’s advertising platform will cost business $7.19 per 1,000 homepage impressions. Twitter’s cost per impression: Twitter’s ad campaign analytics average users $6.46 per 1,000 impressions. YouTube’s cost per impression: YouTube’s AdStage costs businesses $9.68 per 1,000 impressions. Low attention and retention rates: Around 45 percent of Americans employ ad-blocker technology when using social media. Over half say avoiding online and social media ads is easy. PPC advertisements are a popular digital marketing strategy where advertisers only pay when a viewer clicks on their ad. That is both its strength and weakness, as PPC campaigns can be notoriously difficult to generate substantial sales and ROIs from, yet cost-effective to create and maintain. PPCs are usually made up of text and small images placed on websites or search engines, drawing in targeted traffic, as opposed to the larger active audiences on the road. PPC cost per impression: Due to their pay-only-when-you-attract-a-click nature, PPC campaigns fall on the less expensive side of the advertising spectrum — though still not as low as fleet wrap CPMs. Marketers averaged $2.80 per 1,000 views for PPC campaigns in Q1 of 2018. Lead conversion rates: Google is the leading PPC campaign platform today. Advertisers who used it across industries saw an average 3.48 percent lead conversion rate for the duration of the campaign — a middle-of-the-pack rate compared to other channels. The widest of digital advertising’s strategies, digital displays account for online banners, landing page ads and pop-ups. These advertisements differ from others online in that they don’t show up in search queries. In other words, they don’t actively target leads like other marketing strategies, meaning a smaller reach and a reduced lead pool. Industry research points to another fact: It takes retargeting to convert leads through digital display ads. In other words, the original display ad itself may not be enough. Out-of-home marketing like vehicle wraps can compound that digital-display lead generation by more than 40 percent, further proving these online ads on their own may not be worth the investment. Digital display cost per impression: Depending on the digital ad’s size, detail, timeline of display and the ranking of the website it’s on, businesses can expect to spend $20 to $80 per 1,000 impressions. Cost per conversion: Depending on the conversion action you are targeting, digital ads on their own may cost you up to $59.18 per action. Cost of customer acquisitions: Active campaign creation and upkeep via Google will cost small businesses $9,000 to $10,000 a month, with highly fluctuating rates of acquisitions. Low attention and retention rates: Viewers ignore 82 percent of online ads — usually by skipping video ads, clicking out of pop-ups or installing increasingly smart ad blockers on devices. SpeedPro is North America’s only franchise system focusing on large-format graphics. We know the real, profit-backed value of custom fleet wraps for your truck, car and delivery van lineup. It’s why we produce some of the most professional, unique and on-brand car wraps and window decals, regardless of franchise — and we want to do the same for you. Contact your local SpeedPro for a consultation or explore our inventory of fleet wrap services and common questions today.